…and that was where we spent a lovely Sunday evening. 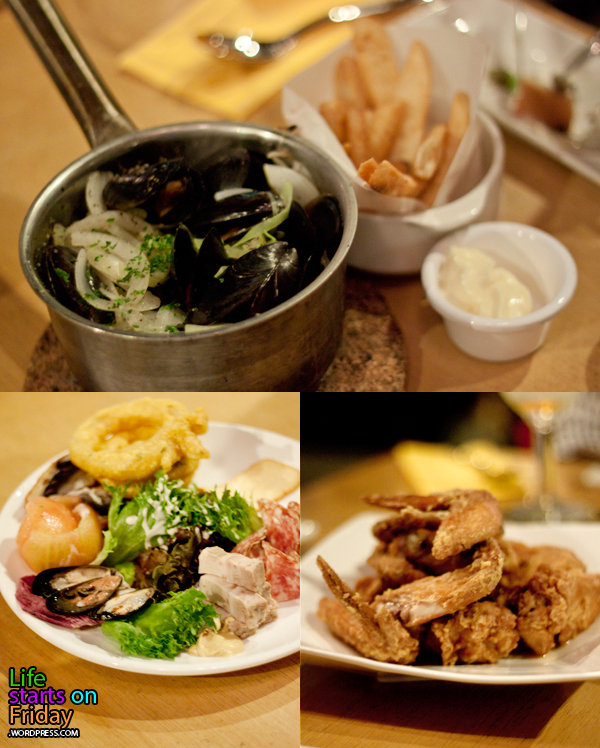 Having been to Brussels Sprouts at Robertson Quay, I like their new outlet so much more. Being away from the city, this relaxed environment, with high wooden beams and the beach in close vicinity is perfect for chilling out with friends over mussels, free flow fries and booze. The service staffs at Brussels’ Sprouts are stars. They are easygoing, attentive and reactive. Every time I checked on an order, or asked for another bucket of fries, I’d be confident of getting a response within a minute. Larry, coming from Oklahoma, had little experience with mussel and clam types’ seafood and was naturally cautious (as everyone would be when conquering new shells). When we ordered the Brussels Sprouts Special, a broth made from celery, parsley and heaps of pepper, he loved it. Looks like their signature mussels don’t come with a reputation for nothing. Only thing I wouldn’t order again would be the Platter. It wasn’t as satisfying to the palate as the Wings, Lamb Shank, Steak or fries were. Sounds like I already know what I’m ordering next time when I return, and return I would. 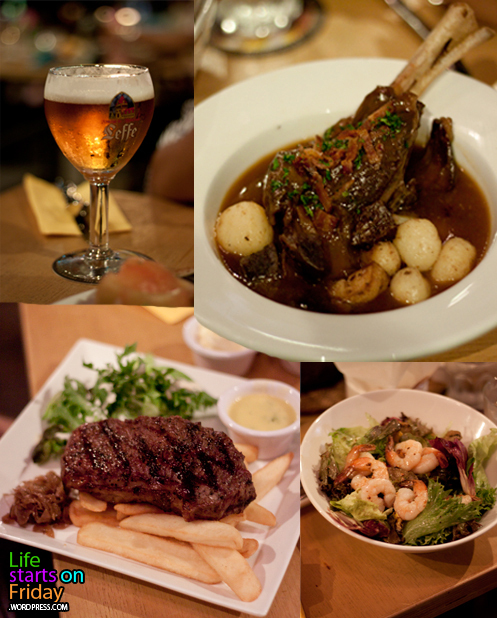 This entry was posted in Food, Weekend belly treats and tagged beer, belgian food, dinner, east coast, food, fries, mussels, photography, seaside, steak by lifestartsonfriday. Bookmark the permalink.